When James Burr committed to play lacrosse at Boston University, the Terriers had yet to play a game as a varsity program. Now, the 22-year-old attack from Hamilton is a senior captain and the program’s career scorer leader, with 118 goals and counting. A Middlesex School grad, the 6-foot, 190-pound Burr has started since his freshman season, when he played alongside his older brother, Elliott, a midfielder. Their father, Robert, had played lacrosse at Harvard. In a 5-2 start for BU this year, Burr has racked up a team-leading 21 goals and 29 total points. Off the field, he is one of 30 Division 1 players to be nominated for the CLASS Award, which honors student-athletes in four areas of excellence: community, classroom, character, and competition. He and his Terrier teammates raised $35,000 in their Bike to the Beach initiative, which raises funds for autism awareness. A business administration and management major, he was named to the 2018 Patriot League Academic Honor Roll with a 3.28 GPA. 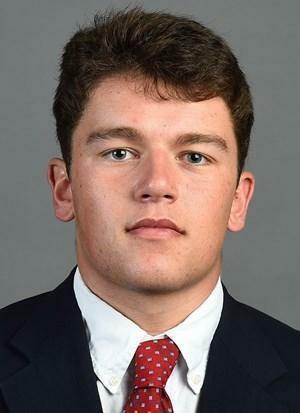 Recently, he was selected by the Boston Cannons in the 2019 Major League Lacrosse draft, with the first pick of the seventh round. Before getting back on the field this weekend against Bucknell, he took a few minutes to chat with the Globe. Q. As a senior captain, what it has been like to be part of a program at an early part in its history? A. It’s a big point of pride for the seniors. We committed here before BU even had a game, so we bought into the vision. Coach [Ryan Polley] was telling us we could be great. We knew we had a lot of talent on the team and we wanted to start something new and get as far as we could in the Patriot League playoffs and we’ve been pretty close to that championship, so it’s a matter of setting a new standard every year and getting better. Q. You hold the school’s single game [6 goals] and single-season records  for scoring. What is your go-to move? A. I’m more of an outside shooter than a finisher so I wouldn’t say I have a go-to move. I’m just here to find a way to finish the play and hopefully get some assists in the meantime. Q. How do you maintain your level of success? A. It’s definitely a lot of work playing Division I and trying to get better but it’s always been such a passion of mine. I love the game so the work kind of seems easy to me; the weight room, shooting, getting better every summer and fall. It’s really never being satisfied with how well you do and our team has that mindset as well. Q. What does the CLASS Award mean to you? A. I’m definitely honored and humbled to be on that list. A lot of that award comes from the things we do as a team here at BU in terms of community service. We do Bike to the Beach, that’s a really big initiative for autism awareness. We do Harlem Lacrosse, and we do One Love for relationship violence. It’s definitely a great honor for me to kind of represent my team. It means a lot. Q. What has been your more challenging class at BU? A. Junior fall in the business school you have this big project to create a business with nine team members. You do everything from marketing to full operations and financial forecasting. That took all semester and that’s totally your focus, because the classes are 8 a.m to 12 p.m. every day. That was a tough grind as a student-athlete and it took a lot more heightened focus. It was a huge time commitment, but it was a really great experience learning how to create a company from scratch. Q. You and your brother are both in the record book for BU lacrosse (Elliott for faceoff percentage]. What does that mean to you? A. He’s been a huge influence for me in terms of work ethic and showing up and working hard every day. It’s awesome to be on the list with him. Thomas Herron can be reached at thomas.herron@globe.com.